The handles that changed the game just changed the game AGAIN! weight stack to weight stack with zero wasted space in between. look of Evolution with the tried and true tubular frame of Legacy. strength centric facilities looking for maximum VRT results. 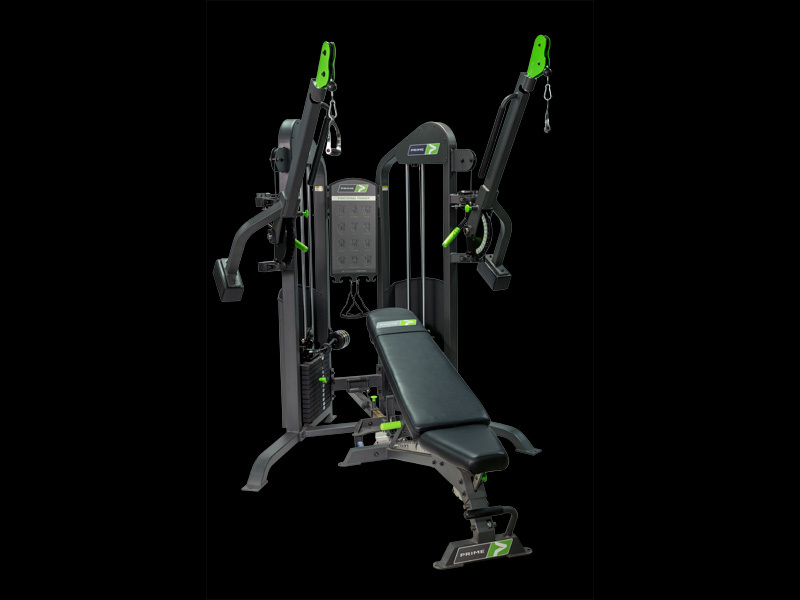 the PRIME Functional Trainer is as versatile as it is powerful. types simultaneously, while challenging even the strongest of lifters. horizontal adjustment options for unparalleled versatility. The Evolution line features an eye-pleasing aesthetic design paired with the USA-made quality PRIME customers have become accustomed to. Evolution features our newest SmartCam design – this more compact cam offers a smoother resistance transition, meaning the “pick-up” and “fall off” of the resistance curve is less dramatic when compared to the original cam design (as seen on the Hybrid and Legacy lines) – a more appealing feature for facilities with a broad member demographic. Also, the units have been intentionally designed to “puzzle piece” together so that they may be placed weight stack to weight stack with zero wasted space in between. Aptly named for the inclusion of popular features from both the Evolution and Legacy lines, the Hybrid line features the modern look of Evolution with the tried and true tubular frame of Legacy. Hybrid is utilizing the original SmartCam design, offering a more aggressive transition through the strength curve, ideal for strength centric facilities looking for maximum VRT results. simplistic selectorized option from PRIME. Legacy features a partially enclosed weight stack design (aftermarket enclosement kit available) and a simple 5lb donut add-on weight system. The Legacy line is the perfect option for facilities looking to implement the SmartStrength training on a limited budget. Like the Hybrid Line, the Legacy line also features the original, larger/more aggressive SmartCam design. 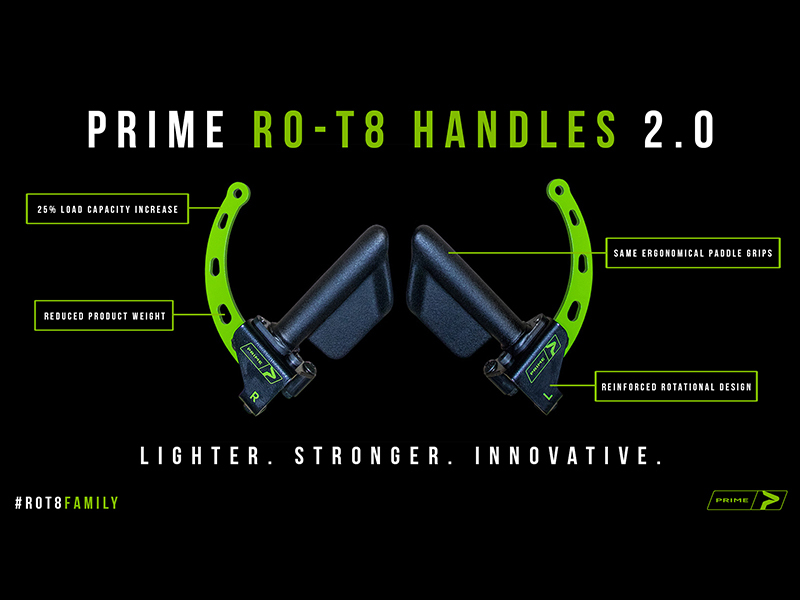 Featuring the SmartStrength 3-peg Torque Arm, PRIME’s Plate Loaded units offer versatility and adjustability unlike anything available on the market today in this product category. The Plate Loaded line features a robust tubular frame with a sleek visual appeal. PRIME’s state-of-the-art Functional Trainer offers a nearly unlimited number of exercise options. 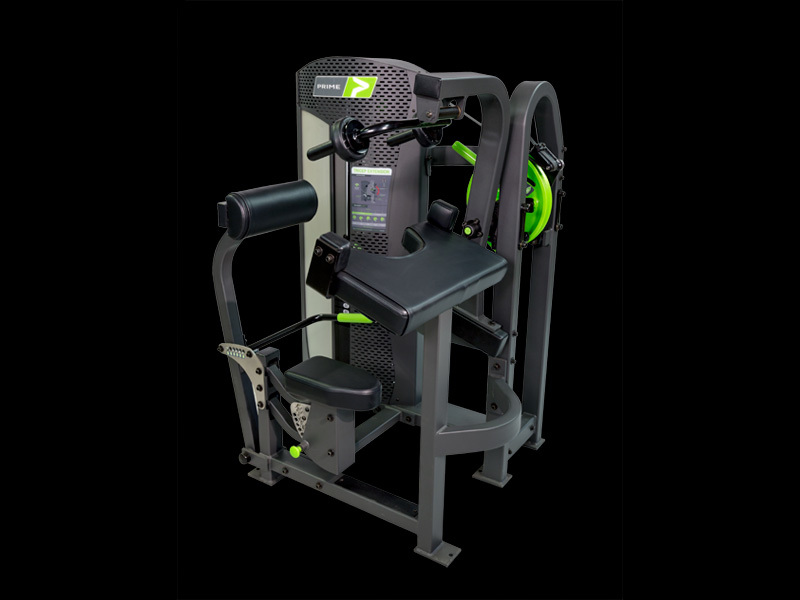 With the ability to adjust the exercise arms both vertically and horizontally, and dual 265 lb weight stacks, the PRIME Functional Trainer is as versatile as it is powerful. 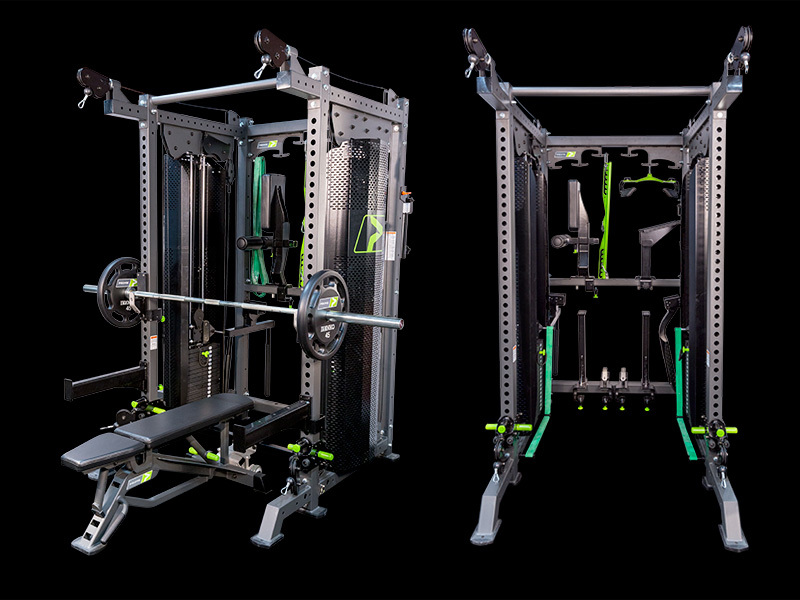 The Prodigy line of racks from PRIME was created to blur the line between commercial and home-gym equipment. The line features four rack options, all of which can be combined and connected in a plethora of configuration options, taking customization to another level. Each rack comes standard with both J-Hooks and Spotters Arms (Power Rack comes standard with Spotter Bars in place of Spotter Arms), making them the perfect canvas for the wide assortment of add-on features available for the Prodigy Line. The centerpiece of the PRIME Prodigy Rack line is the Prodigy HLP (High/Low Pulley) Selectorized Rack. 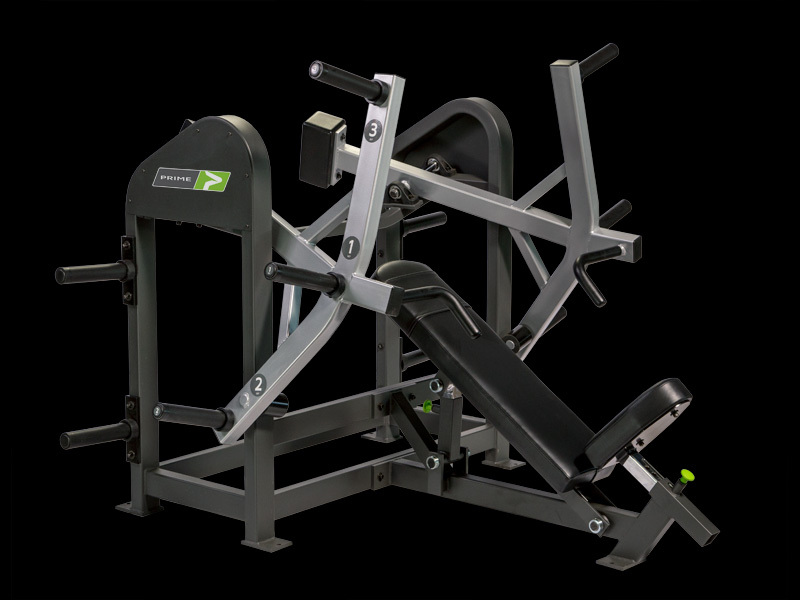 Packing an incredible amount of versatility and functionality, the Prodigy HLP Selectorized Rack combines the benefits of a functional trainer with the convenience and dependability of a squat rack. 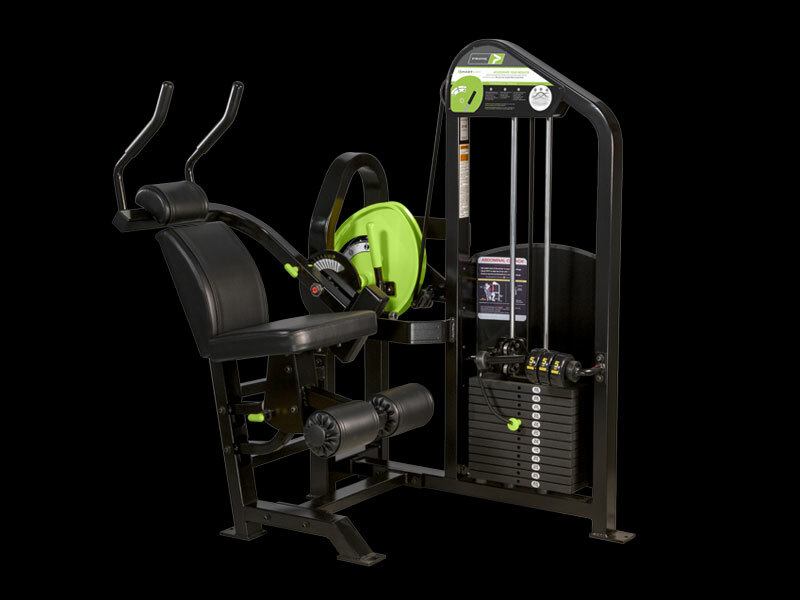 Featuring dual high/low pulley systems on each 350lbs weight stack, the HLP Selectorized Rack is built to accommodate a variety of training types simultaneously, while challenging even the strongest of lifters. PRIME Steel Benches are the perfect complement to a PRIME Steel Rack and/or Functional Trainer. Built with the same rigidity and stability as the PRIME Steel Racks, PRIME Steel Benches are heavy duty pieces. Available in 2 options: the PRIME Standard Adjustable Bench and the PRIME Steel XL Bench. The Standard Bench inclines to 85 degrees and declines to -10 degrees with multiple seat adjustment options. 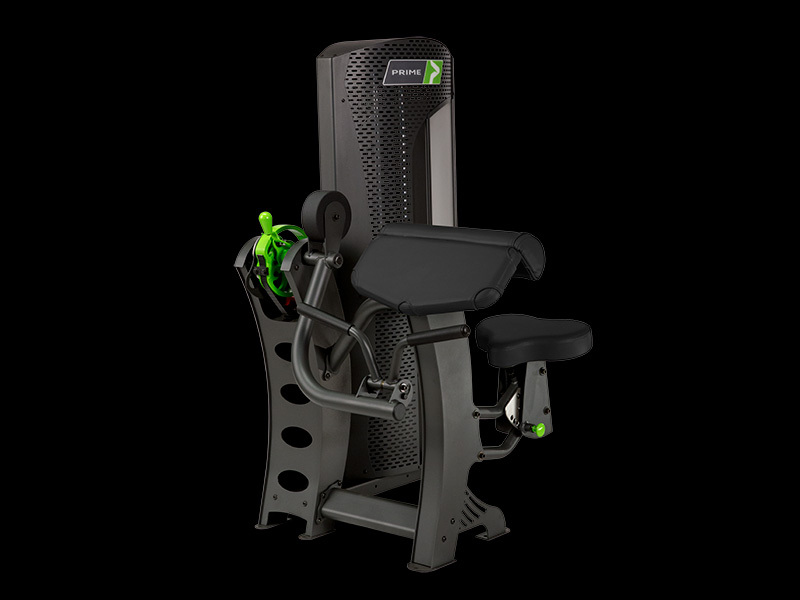 The XL Bench features built-in spotter platforms, 0 to 85 degree incline adjustment options and a wider back pad for increased support. 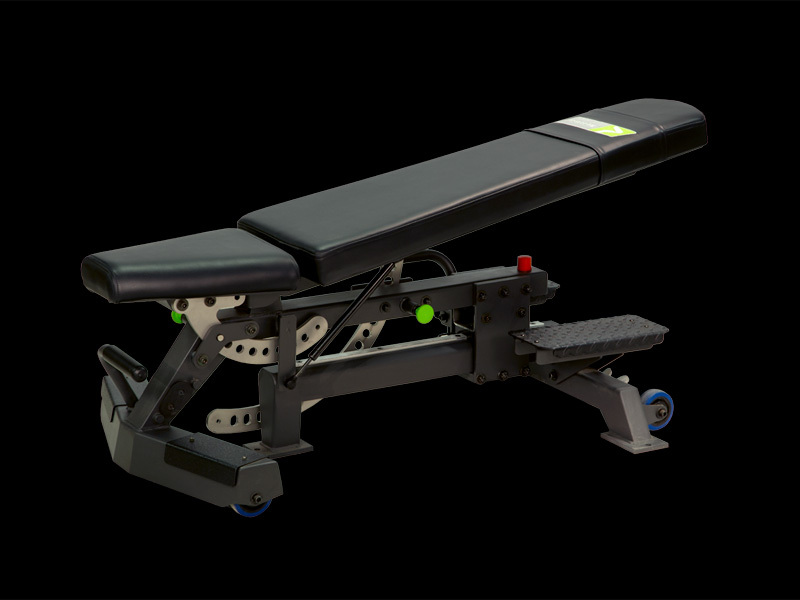 The XL Bench also features 10 horizontal adjustment options for unparalleled versatility.